BAMM.tv Presents: The Flashbulb – “Virtuous Cassette” (live at SXSW) from BAMM.tv on Vimeo. When I was a teenager, I was probably listening to FSOL more often than not, so maybe I’m biased here. Environment Five is the apex of what these 2 musicians are capable of. Everything is gentle and unpredictable, no beat “drops”, no melody reaches a climax, no idea is illegal, and sounds that would seem cheesy everywhere else are welcomed on this canvas. Dazed And Confused era guitars dance with wind chimes while relaxing waterfalls give way to something ominous and terrifying in the distance. Nothing short of brilliant. Blackbird Blackbird’s new album Tangerine Sky contains some of most elegant material we’ve heard yet from the burgeoning SF songwriter/producer. Full of surprises, Tangerine Sky takes a creative approach to meshing a wide array of contemporary styles into something unique that can only exist in the now. This is futuristic electronic-pop that doesn’t look back for inspiration, instead tying together elements of forward thinking hip-hop/R&B, space-age folk, and the meditative grooves of house and techno. 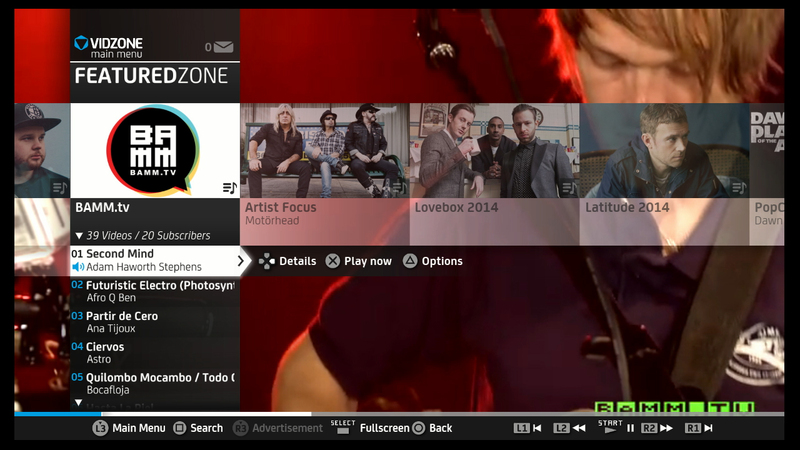 Check out these great BAMM.tv acts at the O+ Festival! Anywhere near Petaluma, California on the 6th-9th November? Are you a fan of great music (well, as you’re checking out BAMM.tv, we’re gonna assume that’s a a rhetorical question, but play along)? Then you need to check out the O-Positive festival – buy your tickets here and make sure you’re on board for the last big party of 2014. “There were days you smiled big enough for me to feel like I was the only one who knew how many teeth you had, and nights you smiled just enough to make me feel like I embarrassed you.” There are many reasons why you should watch this spoken word performance, but here at BAMM.tv we don’t know of any more compelling than the line quoted above. It’s one thing for artists to write and perform a piece of music, but it’s an entirely different thing when you can tell they believe in every note and word they have at their disposal. To say Rachel Lark sells this performance isn’t enough. She believes in it, which makes all the difference in the world. Some songs are inviting, while others are demanding. “25 Siren” falls into the latter category. Brother Grand grabs you by the collar with this song. Ben Henderson’s vocals howl and hiss, and Endika puts the upright bass to use like a Swiss Army knife. BAMM.tv’s very own Phil Lang steps in front of the camera for this double-bill of musical magic from an accomplished singer-songwriter. First up, there’s ‘Keychains’. Shot on the rooftop of BAMM.tv’s San Francisco office, this tune locks in on one of those required moments of a relationship that’s coming to an end – the returning of apartment keys. In ‘Yosemite’, Lang sings “Now I know who I was, now I know who I’m not”, a touching sentiment in this country-tinged tune about being caught between two chapters of life. In other words, a song about coming to terms with getting older. Watch BAMM.tv … on your TV! 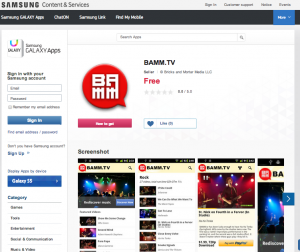 If you’ve been following BAMM.tv for some time now, you’ll know that we’re the place to be for a regular stream of unmissable live music videos – any genre, any taste, all incredible new talent. And you’ll know that we constantly update our Facebook, Twitter and blog with all the news on the latest releases. In addition to all this, however, perhaps you didn’t know that you can also check out your favorite BAMM.tv videos on your TV, or on the go? take a look at our range of apps for your internet-connected devices, and make sure that you never miss a moment of great new music. 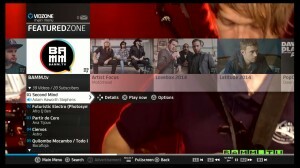 Whether you’ve upgraded to Sony’s latest powerhouse or are still a proud owner of their generation-defining PS3 console, you can catch up with BAMM.tv on Vidzone right now. Subscribe to our channel, share with your friends, or just sit back and watch some awesome entertainment. “There can be only one,” the hero of some movie once yelled. Hopefully he wasn’t talking about the Xbox One, in which case he’d be off the sales figures mark by a few million. Starting very soon, Xbox One owners will be able to experience an all-new BAMM.tv app. And if you’re an Xbox 360 owner? No problem – you’ll be able to as well! 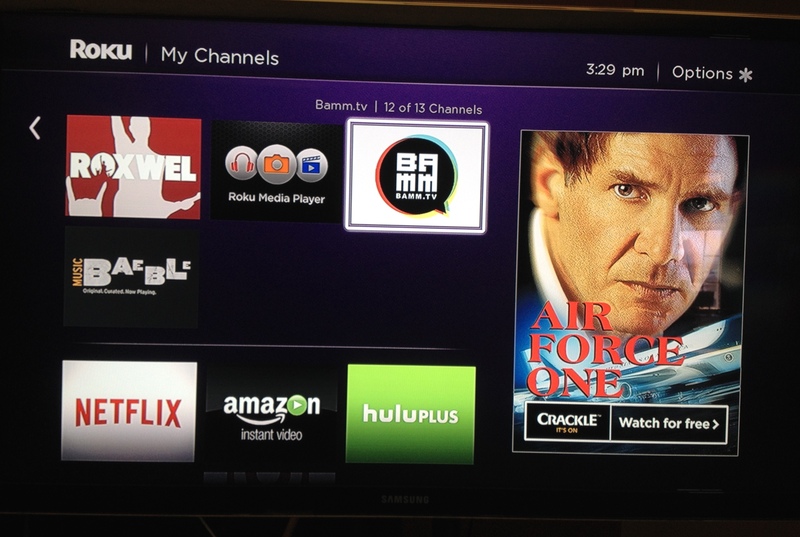 Roku players offer the “deepest selection in streaming entertainment” – so it makes absolute sense that they’d want to throw BAMM.tv into the mix too. 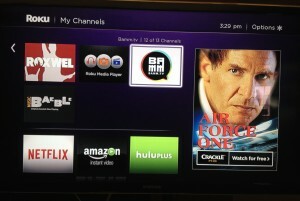 Keep your eyes peeled for our new Roku app, coming shortly. 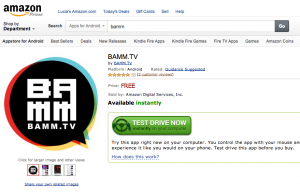 You can do more on Amazon than catch up with the latest music and movie bestsellers – you can also fire up their App Store and enter the wired world of BAMM.tv, wherever you happen to be. The good folk behind Firefox – undeniably the browser with the coolest-sounding name – also have a packed App Store to investigate. 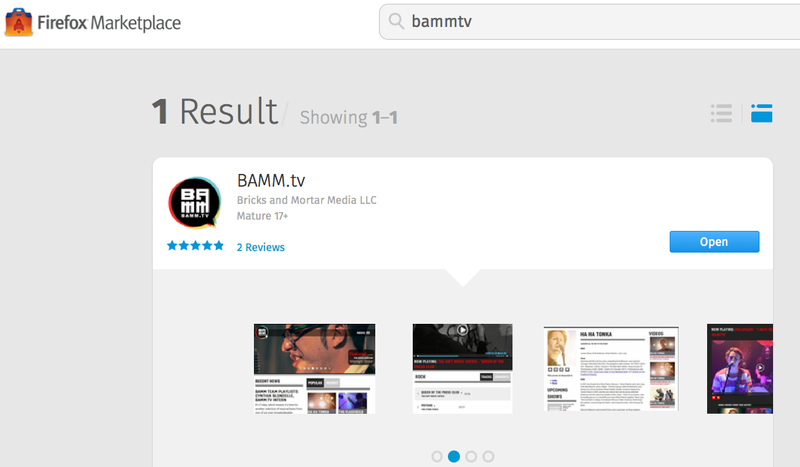 Obviously, it goes without saying that your first download should be the BAMM.tv app, but you already knew that, right? 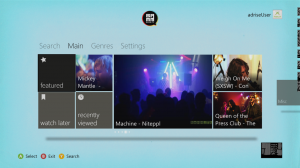 Ever wanted to step inside a virtual venue and explore all the musical magic therein? With the BAMM.tv iPad App – available via the iTunes store – that chance is all yours. Plus, y’know, the chance to watch endless streams of incredible live music too. Finally, you can soon set out to conquer the galaxy (well, in a manner of speaking) by treating your smartphone to the smartest app around – BAMM.tv! We’re seeing more and more looping pedals in pop and indie music these days, but Kendra McKinley’s vocal looping on this Jazz piece is delectable. Having a voice like hers – powerful and smooth – sure helps. You’ll be happy to get this melody stuck in your head. We hope you’ve enjoyed our Featured Artist season this past week, delving into the career and music of British rock veterans Ash. We’ve seen an exclusive performance of ‘Shining Light’, a look back at their classic albums, and a hand-picked roster of their top ten tunes – and to round things off we have another exclusive BAMM.tv performance in the shape of ‘Burn Baby Burn’. Enjoy!